As governments get more strapped for cash, they seek out new ways to get revenue. Unfortunately the laws they have on the books are not suitable for taxation of internet commerce. There are several government initiatives to redress that, such as the Marketplace Fairness Act in the U.S., being considered now in Congress, and the Thirteenth VAT Directive already on the books at the EU. The problem with these laws and proposed laws is that they are based on the old laws that existed prior to the internet, and simply do not make sense at all online. In the past, sales taxes and value added tax (VAT) were always collected at the location where the customer purchased the item. That made sense when there were physical locations. The problem with the internet is you can sell everywhere in the world, and your customer can be anywhere. What we need is a new solution, not a taped up version of what was before. There are a lot of problems with the U.S. Marketplace Fairness Act and the E.U. Thirteenth VAT Directive due to the simple fact that the tax is based on where the customer is located, and not where the business is located. Businesses have to comply with tax laws from 79+ jurisdictions (50 U.S. States, 1 U.S. District, 38 E.U. Member States, U.S. Territories, etc.). Millions of dollars have to be spent developing software to calculate taxes. Increased complexity creates more opportunities for mistakes and abuse. Increased mistakes and abuse create more costs in enforcement costs. States do not receive any tax revenue for businesses under a certain amount of sales, due to provisions in the proposed law. You create a cross-jurisdictional nightmare of enforcement, and businesses may have to travel to states and countries they have never been to in order to defend themselves in legal proceedings. You are setting the precedent that all countries can require the collection of taxes cross borders, opening up possible taxation by every country in the world. The alternative is simple. Collect the tax based on where the business is located, and not where the customer is located for internet purchases. Prohibit Cross Border Sales Tax and VAT Collection based on the customer’s location for internet purchases. This includes the E.U. VAT and U.S. Sales Tax. Allow states to tax ALL internet transactions made by business in their state, regardless of where the customer is located. Agree on rules and guidelines for figuring out what constitutes the location of a business. For larger sellers located in multiple states, give them a choice of collecting local sales tax and VAT, or create a formula for determining where the tax revenues go. Local sales tax is unaffected, and local sales continue to pay local sales tax based on customer location. Either local tax or the internet tax would apply to a transaction, but not both. Either way, it is taxed. Technically the states would be levying an excise tax on all internet sales made by businesses within the state, but from a customer’s standpoint, it would be like paying sales tax or VAT on all internet purchases. The tax becomes a tax on the business, rather than a tax on the consumer. Businesses pay taxes to one state for every purchase made through the internet. Paperwork is simplified. U.S. consumers may have to pay E.U. VAT if the business is located in the E.U. and E.U. consumers may have to pay U.S. sales tax if the business is located in the U.S.
States get more tax revenue, since all transactions (online and offline) are taxed. States would have to compete with each other over tax rates, which may result in more efficient use of taxes. Smaller states and countries could cash in on the tax revenue by being able to tax all transactions that occur on the internet by businesses located within their boundaries. 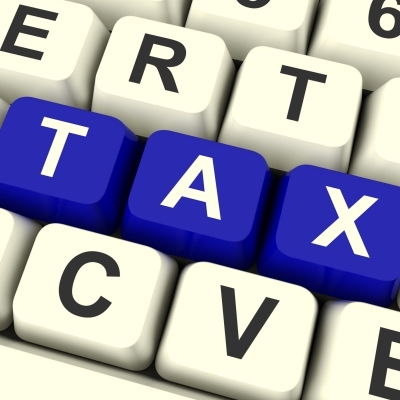 Internet businesses may be encouraged to locate in lower tax jurisdictions. But this would be offset by the fact that smaller businesses less likely to move are also taxed under this scheme. This would encourage states and countries to simplify their internet tax laws. More internet transactions would be taxed under this proposal, resulting in more revenue. Businesses would love it, since it saves them money and hassle. Local business and internet businesses located in the same jurisdiction would have the same sales advantage, since all transactions are taxed online or offline. It reduces the size of government bureaucracy and its cost, yet brings in more revenue to the governments. The Marketplace Fairness Act and Thirteenth VAT Directive already require governments to make changes; why not have these governments make changes that make sense. We need to stop the U.S. Marketplace Fairness Act and replace it with something that makes more sense, for everybody.